WASHINGTON, D.C. -WoodWorks, in cooperation with the USDA's Forest Service Forest Products Lab and Softwood Lumber Board, conducted a second series of blast tests on three existing two-story, single-bay cross-laminated timber (CLT) structures at Tyndall Air Force Base—the same structures involved in a series of initial blast tests performed in 2016. 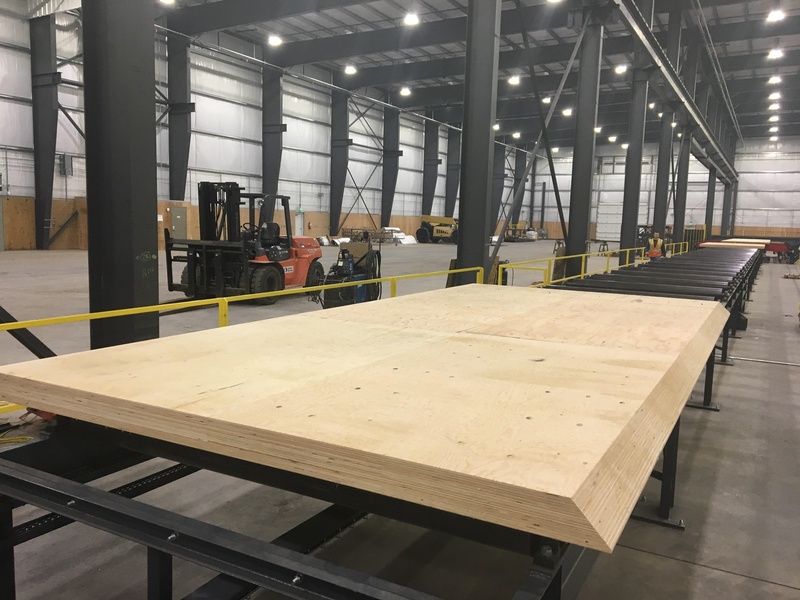 The activity in testing cross-laminated timber structures has been on the rise as the USDA and WoodWorks promote the use of CLT in larger structures traditionally built of steel and concrete. In June, a test of seismic properties was run to show the ability of the wood buildings to withstand earthquakes. Such testing provides ammunition for revising local building codes to permit mass timber construction of larger and taller buildings. 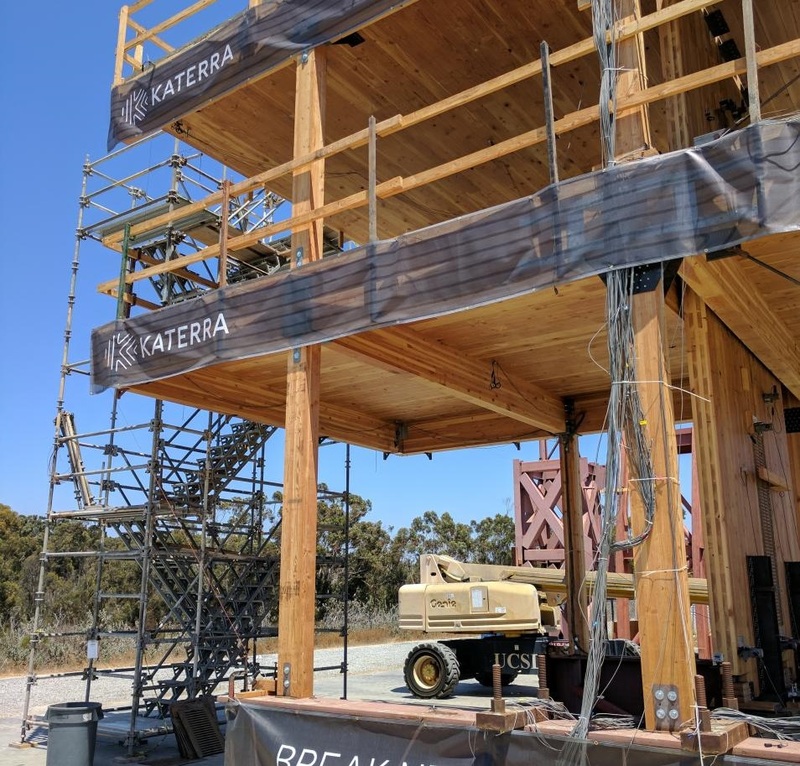 A full-scale validation of new CLT wood building components was completed at The successful test took place on the world’s largest outdoor shake table, at the University of California San Diego. Four tests were performed covering a spectrum of blast loads. For tests one and two, the size of the blast load and configuration of the structures were the same as prior testing, except the structures had axially-loaded front panels. The loads applied were intended to simulate conditions associated with a 5-story residential or office building. For tests three and four, different variables were altered on each of the buildings. 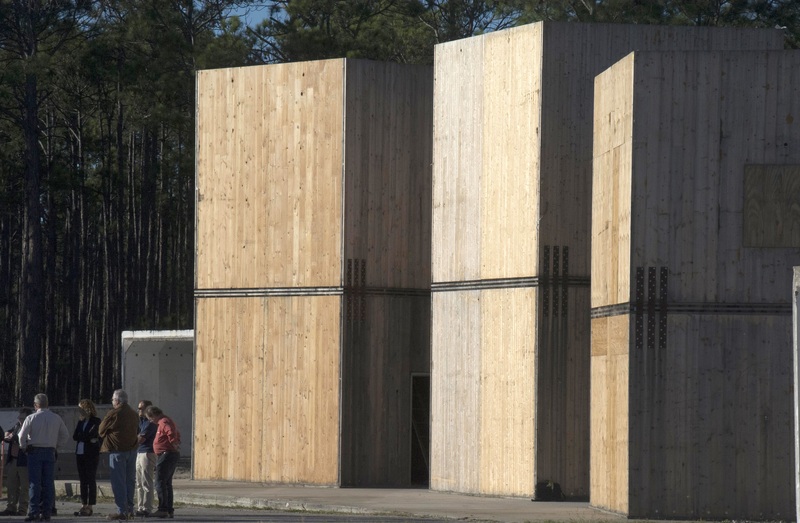 One building used 5-ply CLT front wall panels, the second used off-the-shelf prefabricated angle brackets, and the third included nail-laminated timber (NLT) front panels. Reflected pressure, peak deflections, and panel acceleration were recorded at the front and side faces in order to compare results to previous testing. A full analysis will be published early next year, but on-site observations are decidedly positive, WoodWorks said. All structures remained intact under significant explosive loading well beyond their design capacity. Over the next couple months, WoodWorks will be working with Karagozian & Case, Inc., the Air Force Civil Engineer Center and the U.S. Army Corps of Engineers to analyze the results of these tests and develop design methods for use by blast engineers across the country. WoodWorks-Wood Products Council (www.woodworks.org) provides free project assistance as well as education and resources related to the code-compliant design, engineering, and construction of non-residential and multi-family wood buildings. 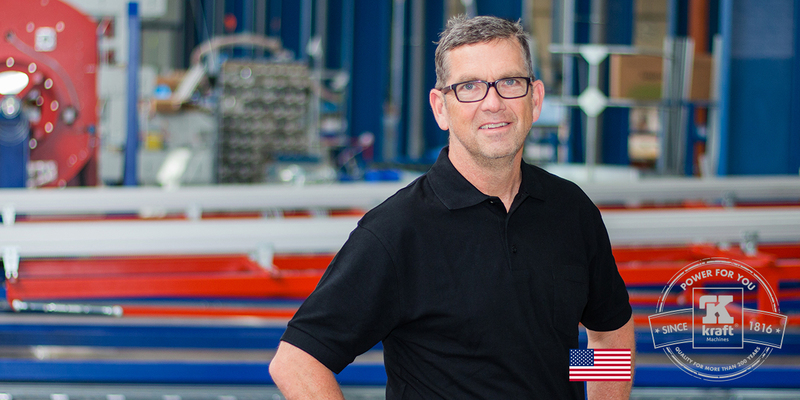 WoodWorks technical experts offer support from design through construction on a wide range of building types, including multi-family/mixed-use, educational, commercial, retail, office, institutional, and public.